www.htl-strefa.com is now available in French! Mikkel Danvold to be appointed new CEO of HTL-STREFA S.A. 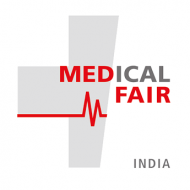 Between 6 and 8 April we will be exhibiting at Medical Fair India 2017 in New Delhi. Booth number 10C19, Hall 10, Pragati Maidan Exhibition Complex. Please feel welcome to visit us!